This was a personal project I’ve been working off and on in my free time. 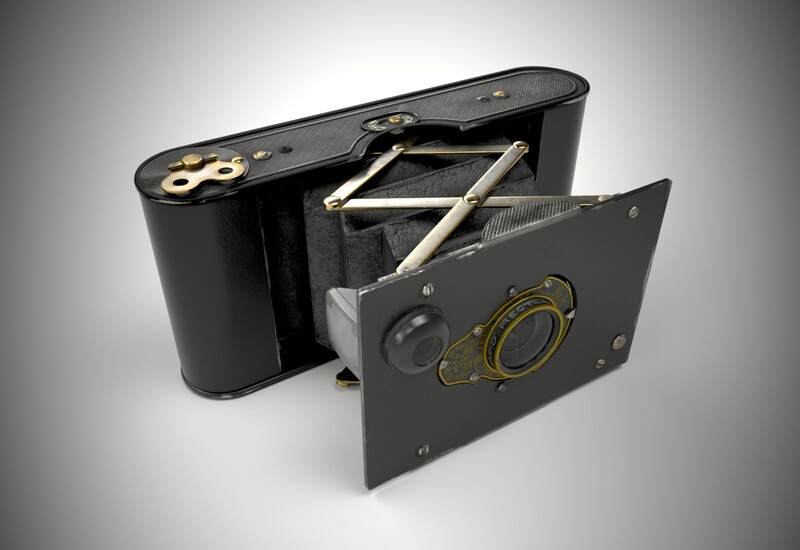 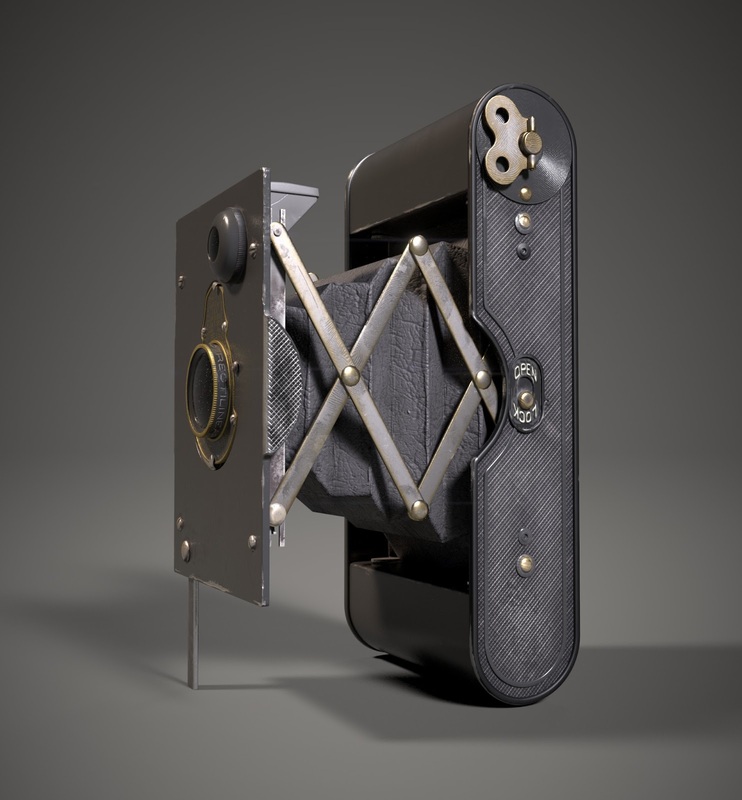 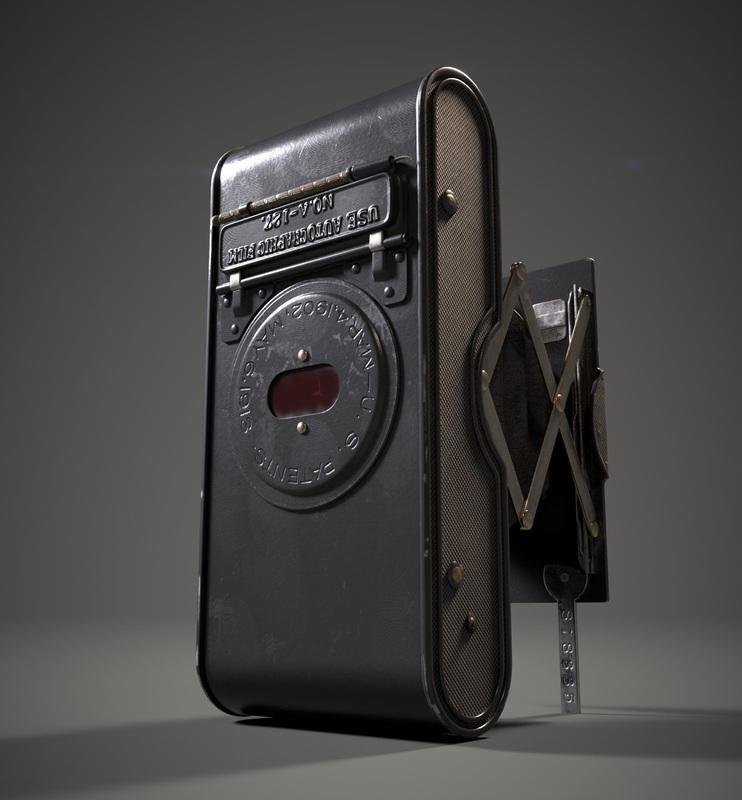 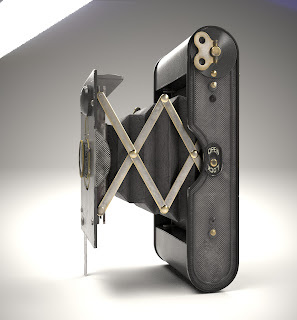 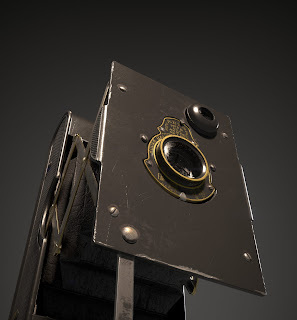 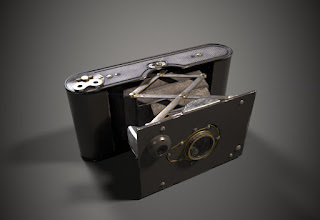 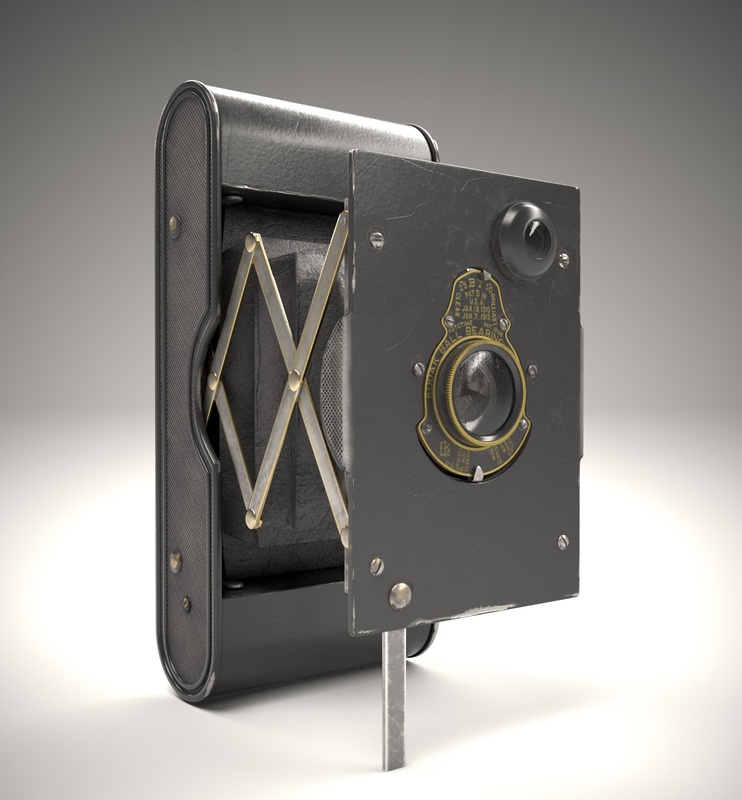 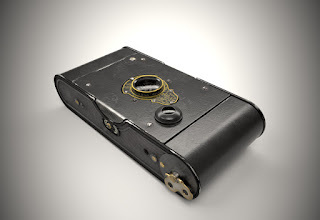 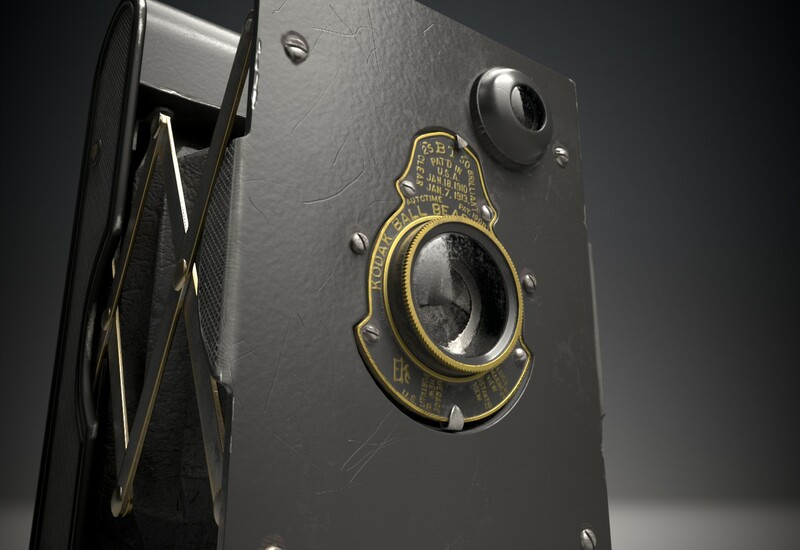 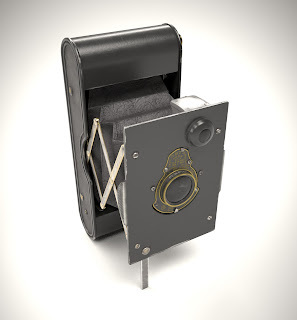 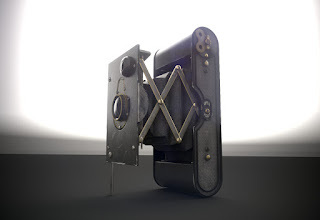 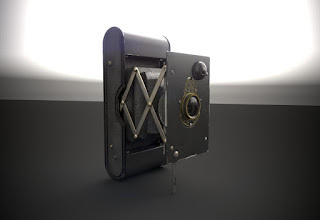 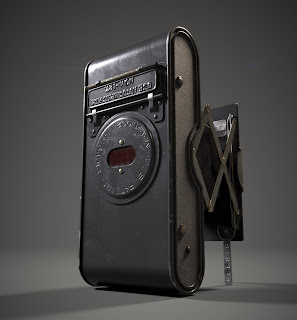 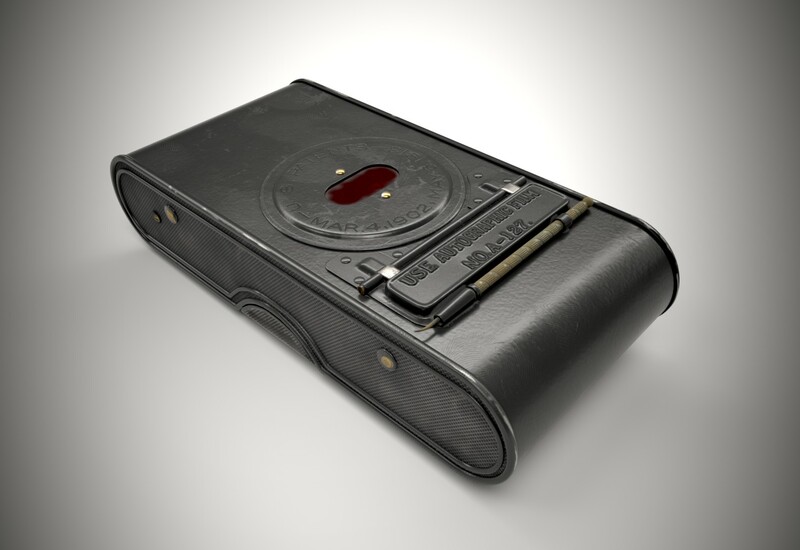 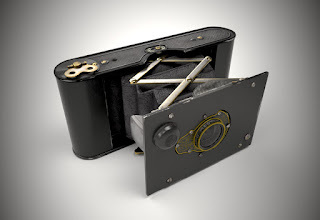 I was given one of these early 1900s Kodak pocket cameras as a gift a couple of years ago by my longtime friend, Photographer Martin Colette and for fun I decided to model/texture it out at in-game FPS resolution like a prop out of Battlefield. 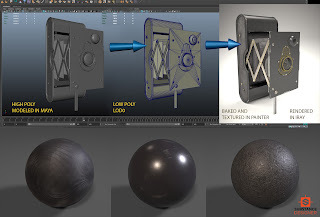 I Sub-D modeled the high res in Maya and baked it down/textured in Painter using Substance Designer to create tiling textures. 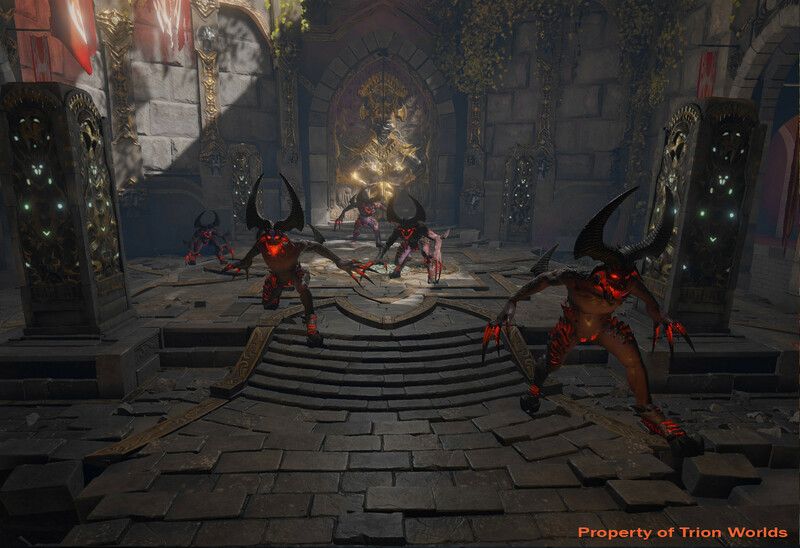 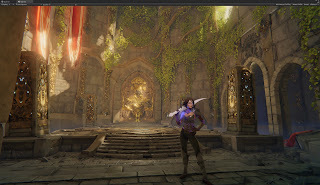 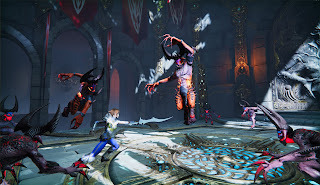 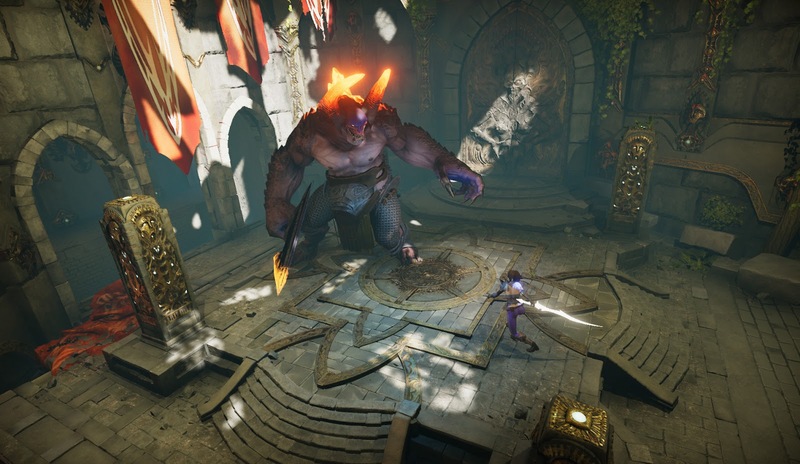 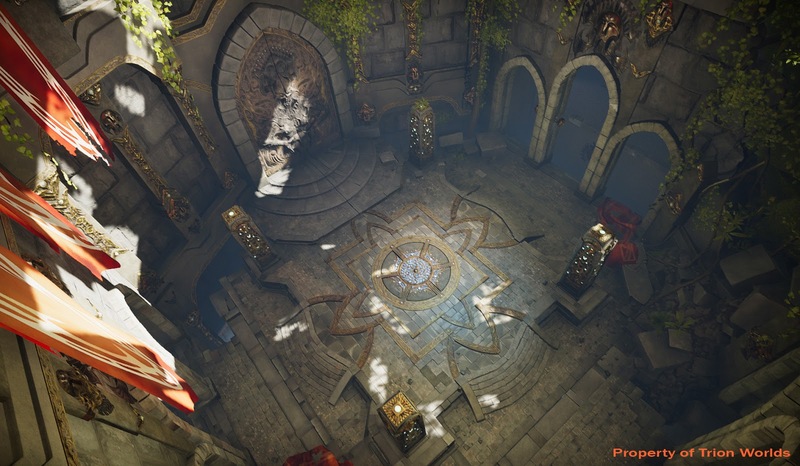 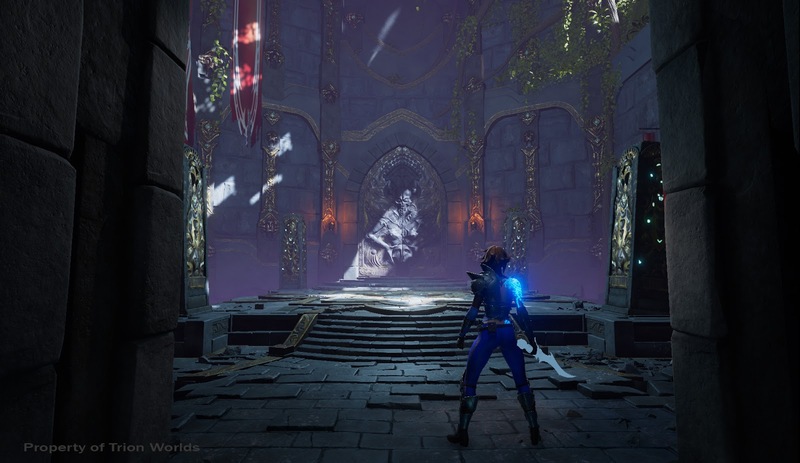 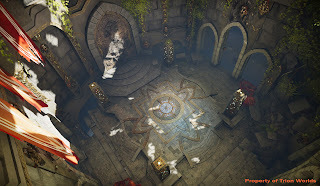 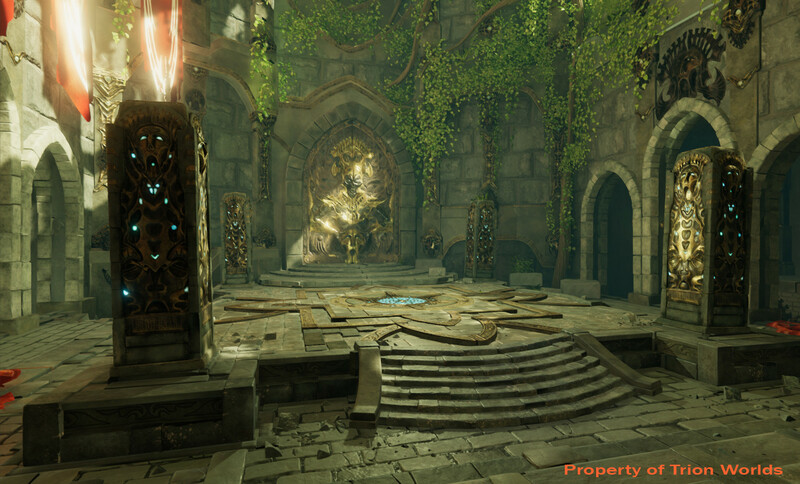 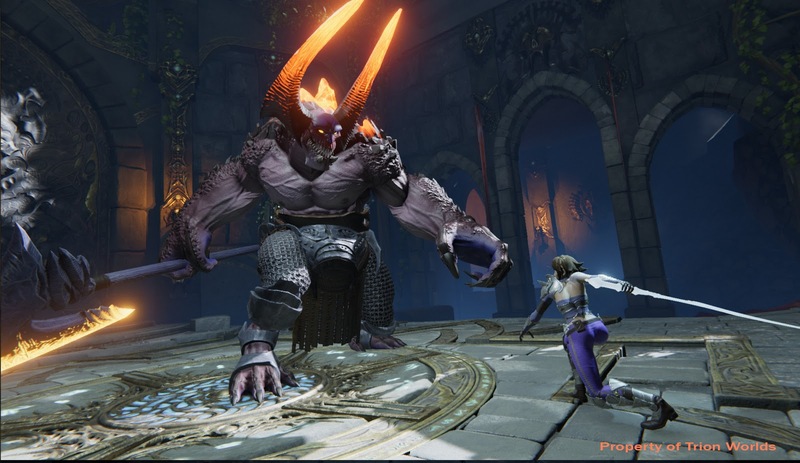 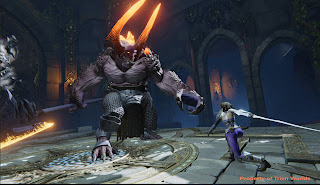 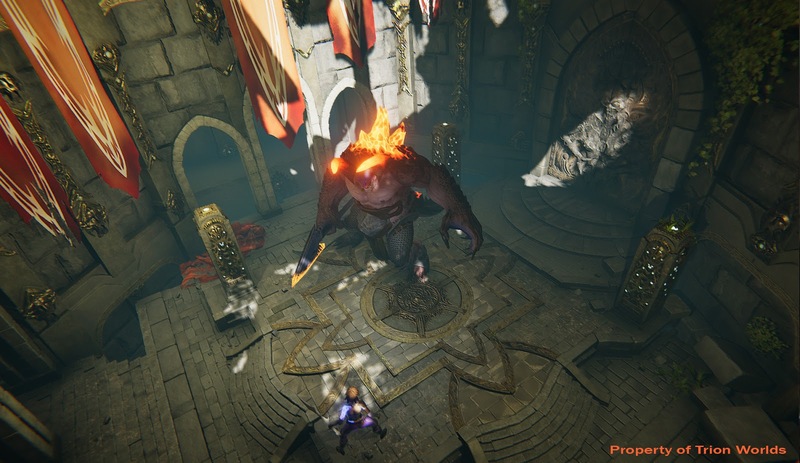 This was a prototype scene made to prove out art on a dungeon project for Trion Worlds. 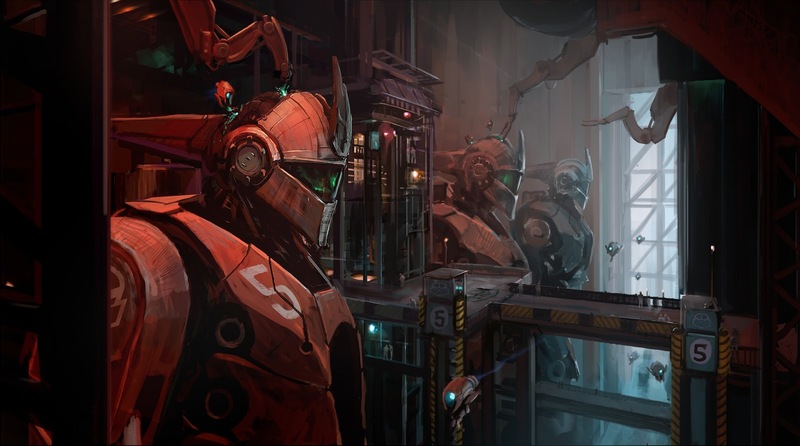 I was responsible for art direction as well as the environment creation. 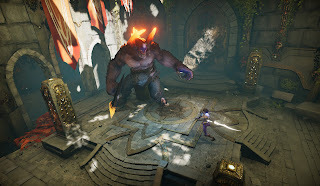 I modeled, textured, assembled and lit everything in the environment except for the foliage texture which was made by Ross Worthley and the tomb door which was modeled by Andrei Bradu (through AMC). Darren Pattenden made the female hero characters. 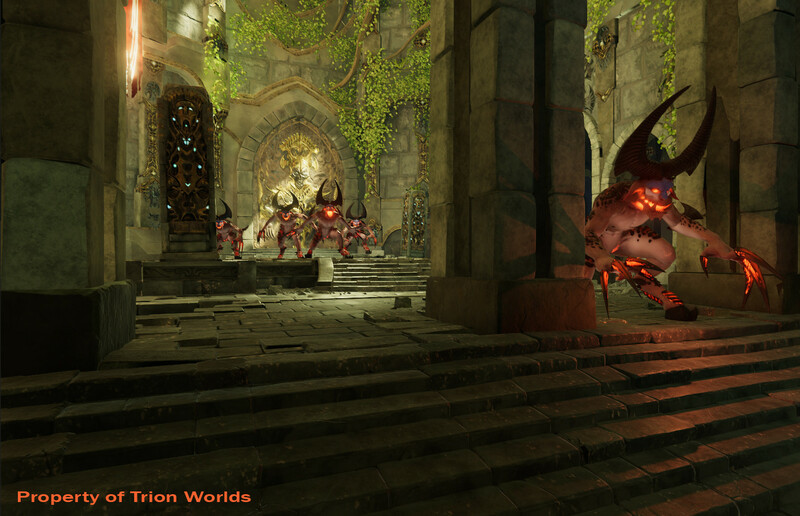 Tim Scott modeled and textured the monsters. 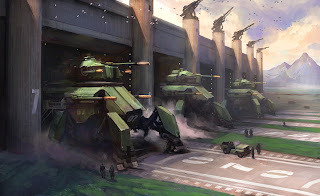 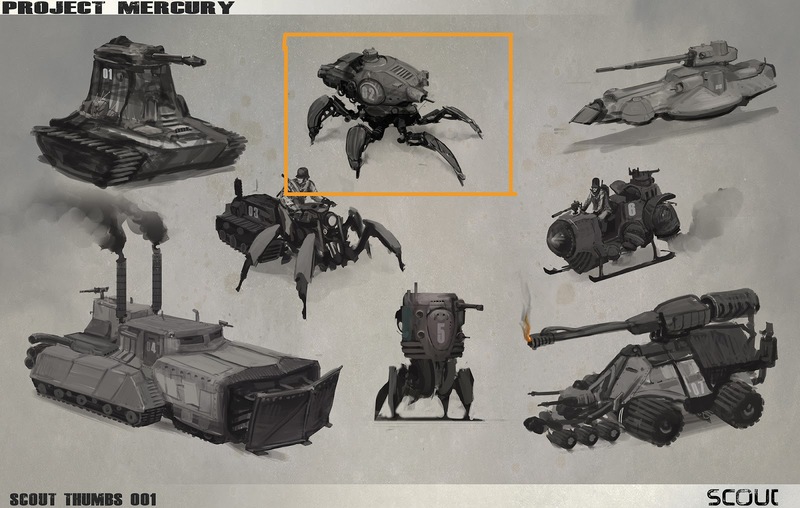 The big brute demon concept was made by Herman Ng. The smaller demons were concepted by Stephen Mabee. 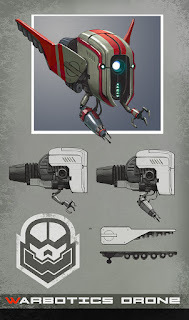 The female hero concept was by Stephen Mabee with revisions by Darren Pattenden and myself. 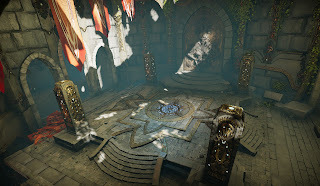 The environment was based on a rough 3d mass out I made and a thumbnail done by Stephen Mabee. 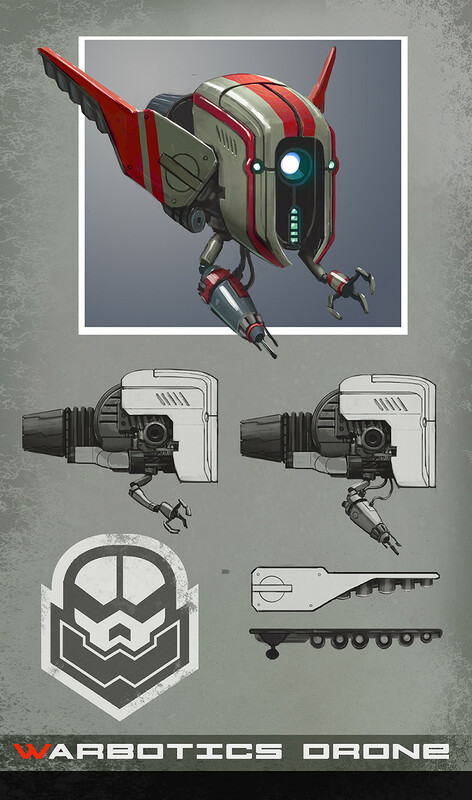 Poses in these images were taken from animations done by Ferdinand Terado, Ross Armstrong and David Rader. 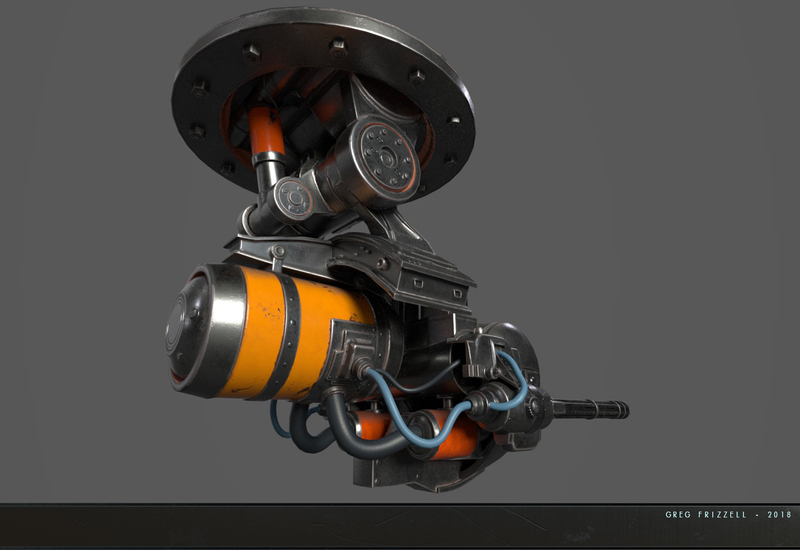 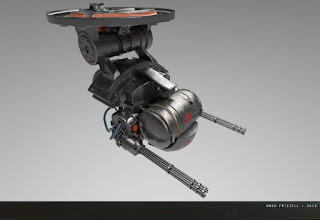 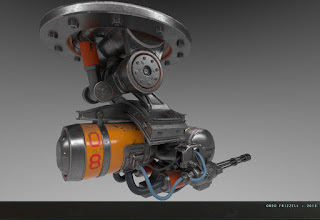 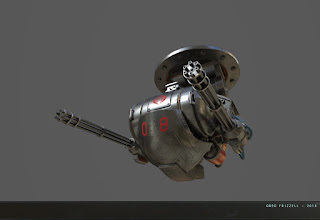 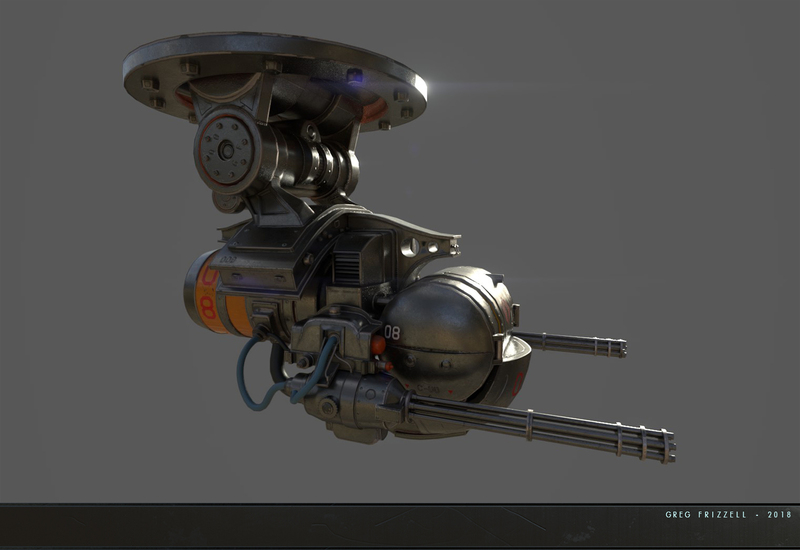 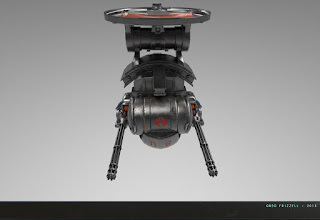 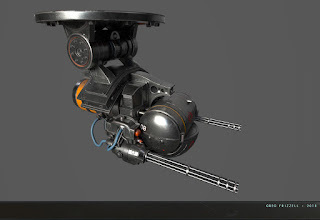 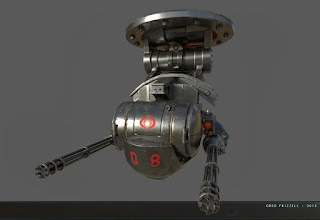 Modeled in ZBrush/Maya, textured in Substance Painter. 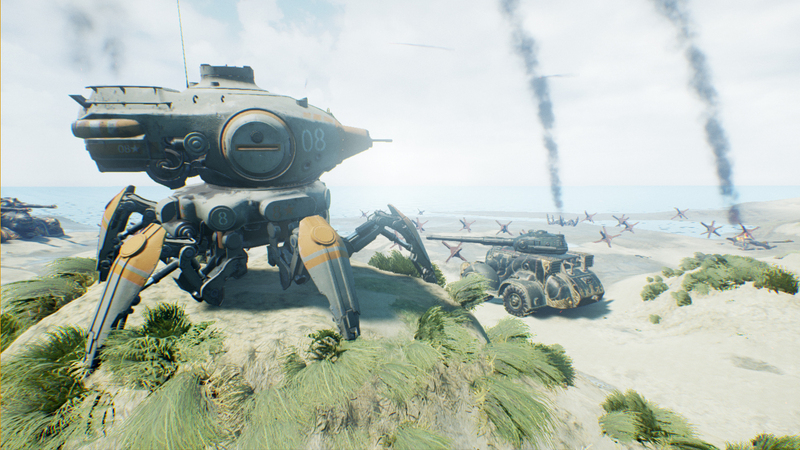 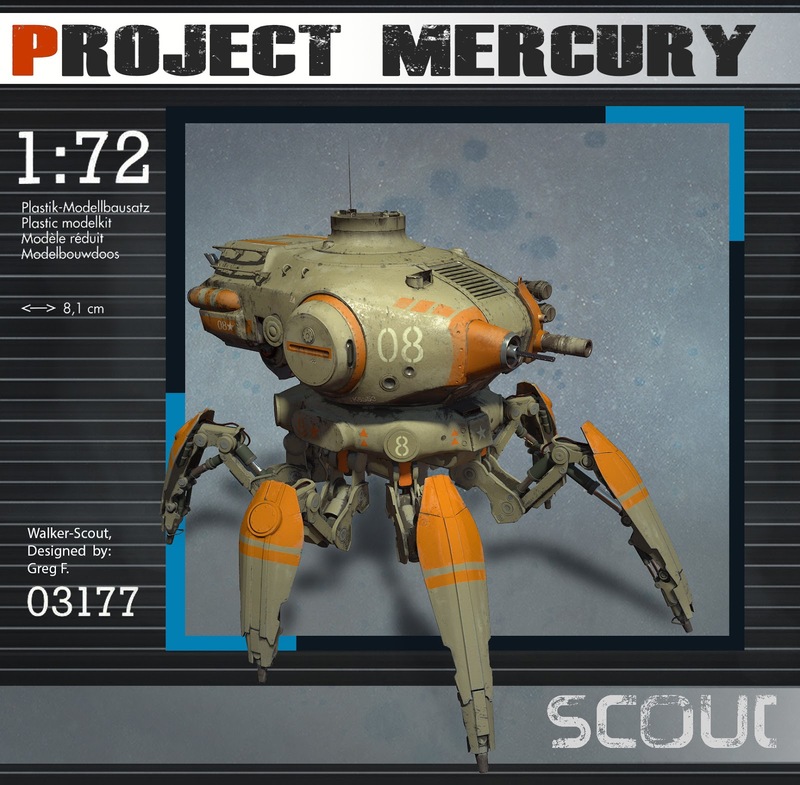 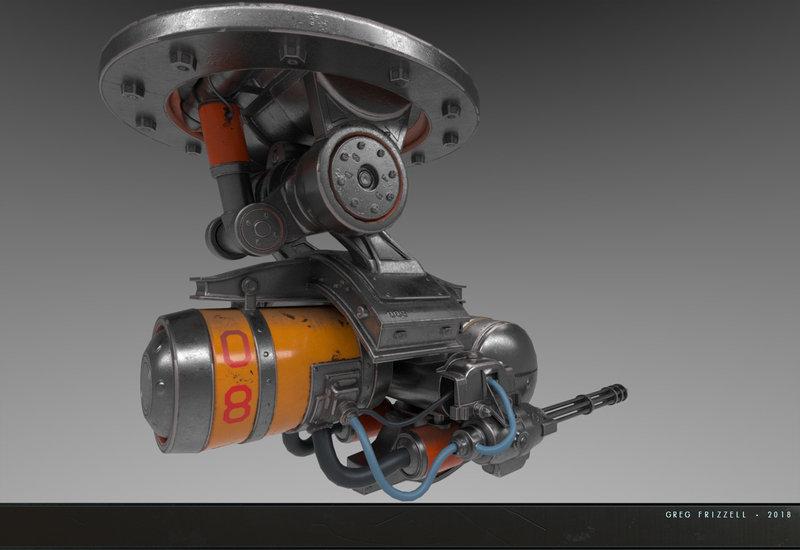 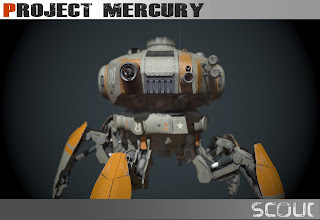 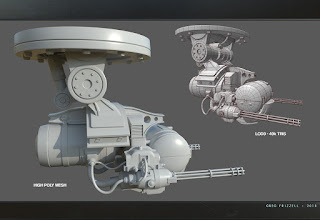 This is a couple of screen grabs of the UE4 prototype for Project Mercury. 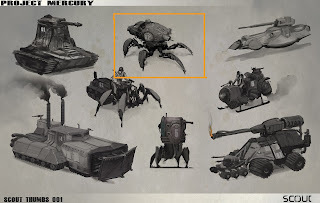 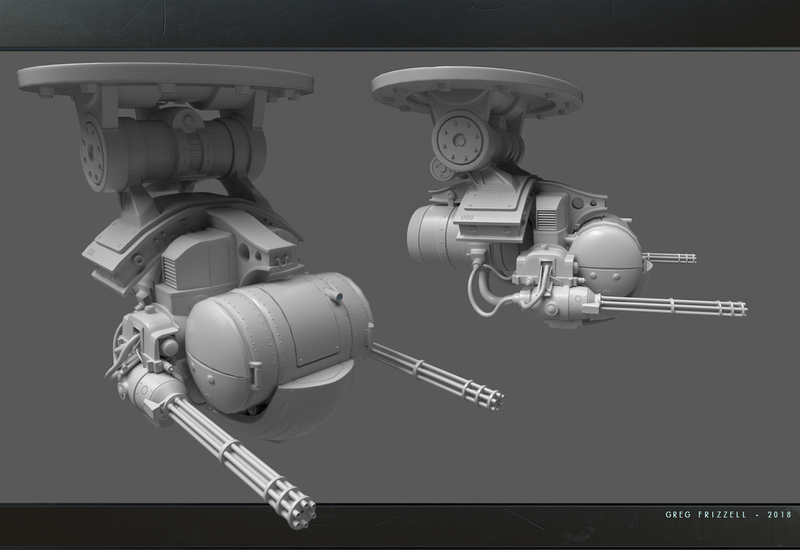 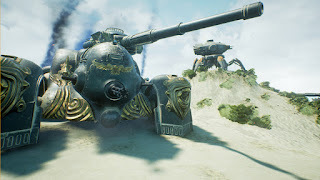 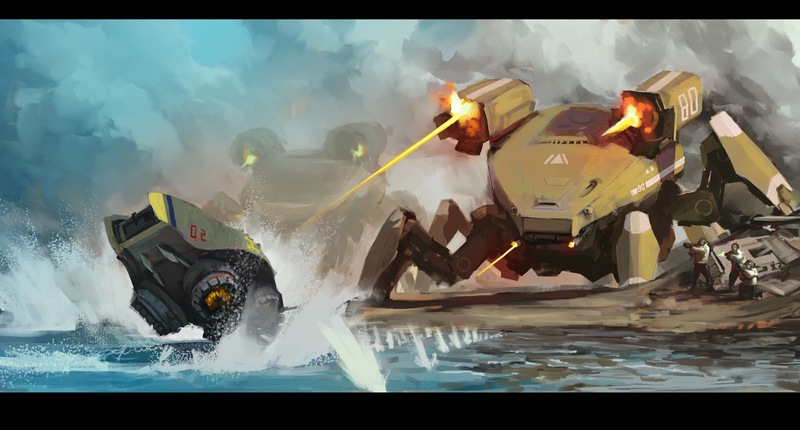 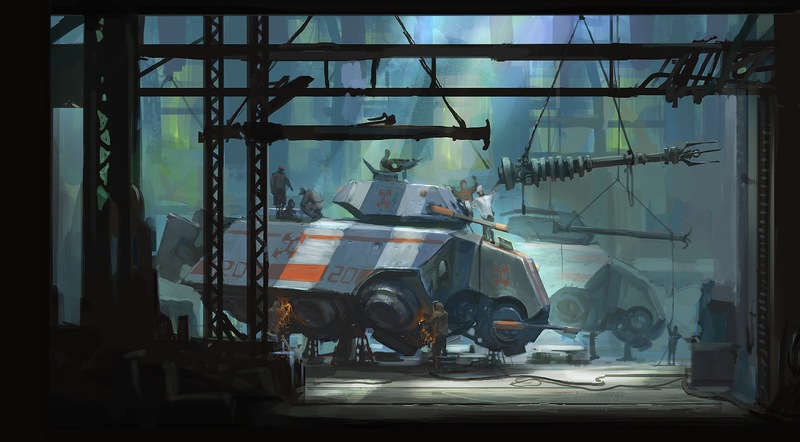 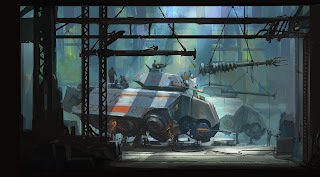 Colin Adair modeled the large Skirmisher tank (with gold trim), I made the Walker-Scout and the environment. Foreground tank modeled by Colin Adair.